Accredited online course. Study from anywhere in the world! This is our most in-depth training program, taking you step-by-step through designing, formulating and creating your own product range. If you want to take your skincare product development to the next stage, then you’re in the right place. Our fully revised, updated and expanded course can help you to turn your hobby into a thriving business. 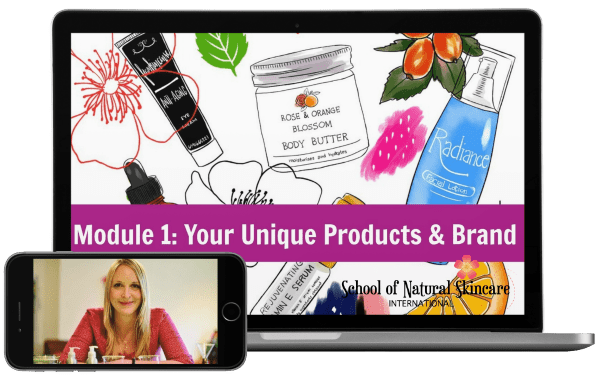 Start your own natural skincare business or natural beauty brand! Why learn to formulate your own products? Create your own recipes – don’t just follow others. Select ingredients & design products tailored to the needs of your target customers – this is the key to creating products that sell like hotcakes. Save time and costly mistakes. Learn the skills to formulate like a professional not an amateur. It’s YOUR responsibility to sell products that are safe for your consumers. Don’t take any chances. Have peace of mind that you are creating high quality, safe products. 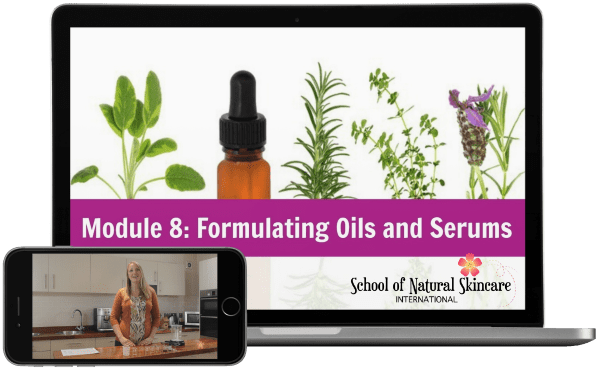 The theory, practice, art and science of natural skincare in an accredited, multi-media online course! The School’s team of expert tutors include a Cosmetic Scientist, Cosmetic Formulator, Aromatherapist, Beauty Business Expert and Safety Assessor and all are passionate about helping you create beautiful products and thriving businesses. 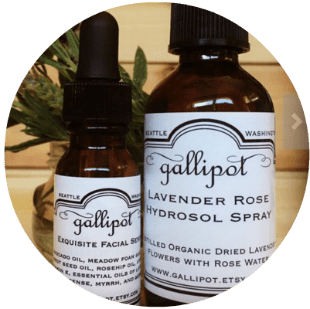 Founded in 2010, the School has trained 5000+ students in 120+ countries to make their own natural and organic skincare products and launch successful businesses.  The School’s fabulous recipes and fun, creative classes have been featured by the BBC and glossy magazines like Green Parent, Spirit & Destiny and Country Homes and Interiors Magazine. The Diploma in Natural and Organic Skincare Formulation has been created with Chandni Patel, our consultant Cosmetic Scientist. 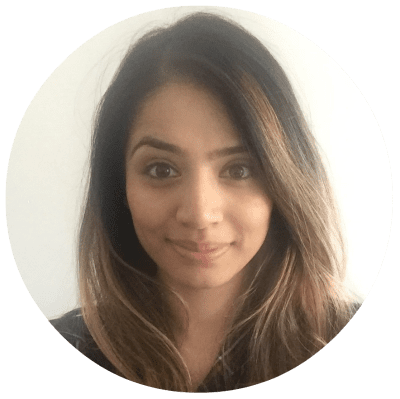 Chandni has a BSc in Cosmetic Science from the London College of Fashion, is a full member of the Society of Cosmetic Scientists and has formulated every type of cosmetic, including skincare, haircare and nail varnish, for brands such as The Body Shop, Tisserand, REN: Clean Skincare and many more. Study from anywhere in the world, in your own time! Instant access to the entire course. No tests to take to access Modules. Completing the Diploma has enabled me to formulate my products properly and deliberately and launch my brand Gallipot. I can make informed decisions regarding ingredient selection and define my product. I now understand percentages and weight conversions too, so I am confident I am formulating properly. I have learned new vocabulary and I can now make hydrous products as well as anhydrous products. I really enjoyed the course and appreciated the availability and support of Gail and Gareth. The Diploma was perfect for me! Create a unique brand by identifying who your customers are and defining your vision, values and uniqueness. Why are you making products? What do you stand for? Infusing your brand with your values and the values of your customers will help you stand out and build customer loyalty. Get inspired by brands who have nailed their niche and uniqueness. Discover the different shades of natural and decide what definition of natural you will use. Weigh up the pros and cons of organic certification.  Explore the different global standards and options for certification: organic, natural, vegan, fairtrade, cruelty-free, gluten-free and more. Our handy charts will allow you to see at a glance the options available to you. This lesson will bring together all the exploration you’ve done in this Module and you’ll identify your brand story and what makes your brand unique. Want to create a brand that stands out from the crowd and that your ideal customers resonate with? In this lesson you’ll learn what makes a winning brand and start to craft your own unique and fabulous brand. Formulate your products and select your ingredients properly and deliberately in order to achieve the result you or your customers desire. Learn our signature 6-step process to create a must-have product! A product development brief is crucial to designing successful products. Discover the key questions you need to answer before you start formulating. Completing our Product Development Brief is essential, each time you create a product. Discover the 8-step process to perfecting your formula. Learn how to take your Product Development Brief through to a finished product and what to do next to create a perfect product! 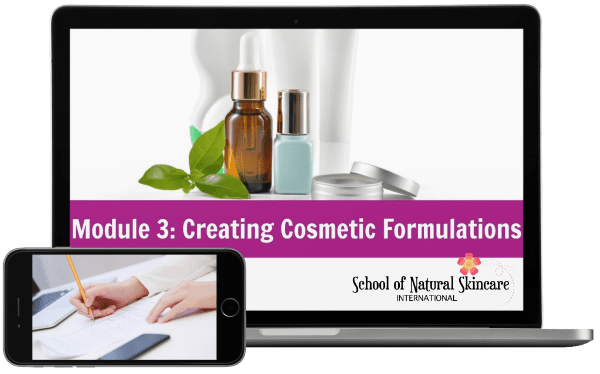 Write professional formulations (rather than recipes), become an effective formulator and evaluate your formulations to achieve the perfect product. Before you start to formulate products you’ll need to ensure your products fall into the cosmetic category rather than drug category (or a whole different set of regulations apply). 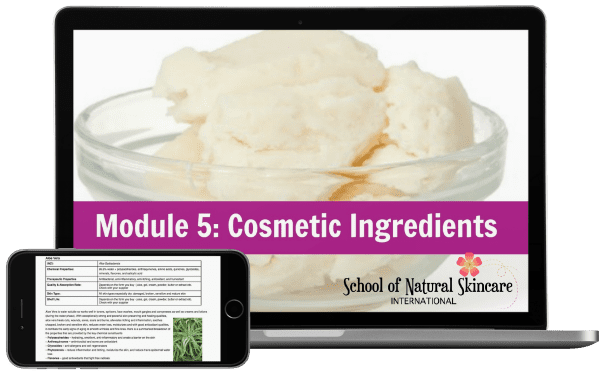 Learn the 3 main types of cosmetic formula that we’ll cover in this course and the facts about each. You’ll never be confused about whether you need a preservative again! 3.3 What is a formula? Discover how to write a professional formula and the essential information to include. We’ll take you through this step by step so even if you are completely new you’ll feel confident writing formulas rather than recipes and understand why it is so important. 3.4 What makes a great formulator? Becoming a product formulator is very different to following recipes. We will set you up for success by showing you how you can hone your skills and knowledge and become a great formulator. There are 6 key elements that create a great performing formula: functionality, stability, sensory characteristics, aesthetics, chemical attributes and pack suited. Learn how to apply these to ensure your formulas are of the highest quality. Properly evaluate your products by evaluating key characteristics of your formula, and making any necessary adjustments to perfect your formula. Our step-by-step product evaluation process makes this easy! Module 4: Skin anatomy and physiology. Formulating for different skin types. Understand how the skin functions, the physiological changes that occur as the skin ages, and common characteristics of each skin type so you can formulate products suited for oily, sensitive, dry, combination and aging skin. 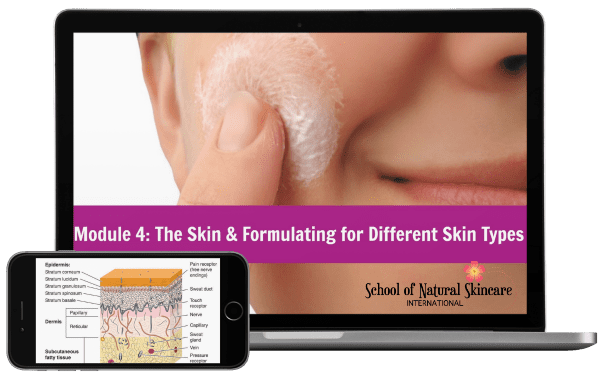 Learn the 7 main functions of the skin, then we’ll take you layer-by-layer through the structure and function of the epidermis, dermis and subcutaneous layer. Learn how to keep skin hydrated and the essential ingredients to include in formulations aimed at assisting skin hydration. One of the most important functions of the skin is its role as a barrier. 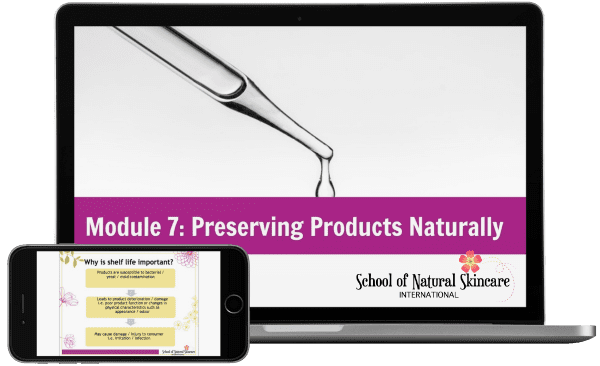 Learn the structure of the skin barrier, significance of the lipid barrier, environmental factors that affect skin barrier function and how cosmetic ingredients and products can maintain healthy skin barrier function. An important role of the acid mantle is to maintain the skin’s pH balance, which helps maintain skin softness, suppleness, smoothness and strength. Discover factors affecting the acid mantle pH, possible characteristics of disrupted acid mantle pH, and how to protect and restore the acid mantle. Understand in detail how the skin ages, the physiological changes, visible signs of skin aging and how skincare products can improve the appearance of aging skin. Discover what sun damage does to the skin and how to address this in your products. We’ll look at the visible signs of photo-aged skin, physiological changes in epidermis and dermis, and types of ingredients to use to improve the signs of sun-damaged skin. Discover how ingredients are absorbed into the skin. Here we’ll take a closer look at different skin types, the characteristics of these skin types, how to formulate for them and beneficial ingredients. We’ll give you a guide for each skin type which will be invaluable when you start formulating! Choose ingredients with confidence! Learn the functions, properties and benefits of a wide range of ingredients and how to select ingredients for your formulations. Ingredients fall into different categories and it’s important to understand which category they belong to so you can formulate with them effectively. Emollients, occlusives and humectants are fundamental ingredients in many skincare products. 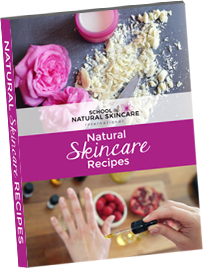 Use our handy workbook to learn about the properties and qualities of carrier oils, butters, waxes and humectants to use in your formulations. You’ll also discover 10 factors to consider when choosing your carrier oils so you pick the right oils for the right products. 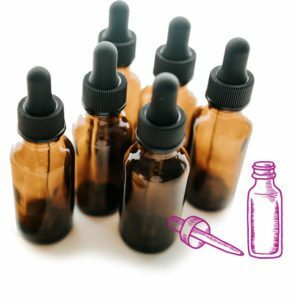 Learn how to choose which essential oils to use, the therapeutic properties of essential oils and their contraindications, and how to blend essential oils. We’ll also cover calculating safe usage levels and allergen levels. 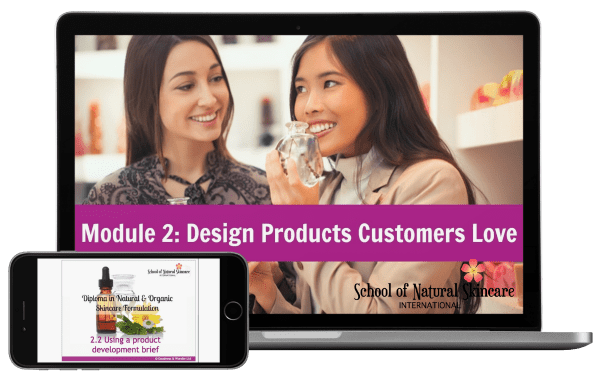 In this workbook you’ll learn all about a wide range of high-performance ingredients that will give your products a real edge. We cover actives, botanical extracts, vitamins and cosmeceuticals. In addition you’ll learn how to choose botanical extracts and about the best antioxidants for your products. Here we’ll take a closer look at natural and organically certified emulsifiers, preservatives, rheology modifiers and thickeners. We’ll share an invaluable list of cosmetic suppliers based all around the world and give you our top resources for carrying out your own research into ingredients. Develop the essential skills and knowledge to make your products safely and effectively, ensuring consistency and quality. Understand percentages and weight conversions to make batches of different sizes. 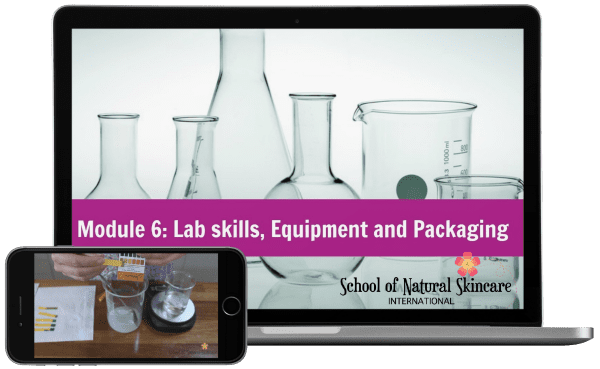 Learn about the equipment you’ll need to set up your own small-scale lab at home plus the equipment used in professional manufacturing settings. You’ll also learn about the scaling-up process: how to take a product you have formulated at home into a manufacturing setting. GMP is essential for producing high-quality products and is a fundamental requirement if you sell your products. Our handy checklist will ensure that you have easy-to-follow guidelines in place. Develop some of the key skills you need for making your products: weighing, heating, calibrating, sanitizing, filling and homogenizing. Here you will learn how and why to test the pH of your products, how to use a pH meter, how to adjust the pH of your product and how to rewrite your formula to include your pH adjustor. Students often come to us really confused about formulation math! We’ll help you to become confident working in percentages and calculating weight-based measurements for different batch sizes. We’ll even provide a handy batch calculator to make it really easy! Choose your packaging based on the 7 key considerations that we’ll share with you in the lesson. Put into place strategies to extend the shelf life of your products and preserve your products effectively to ensure they stay in optimum condition. Understand what microbes are, types of microbes and the conditions under which they grow. Then you’ll know how to stop them spoiling your products! Here you’ll learn the 7 ways you can ensure the highest quality and longest shelf life of your products. Learn about some of the new breakthroughs happening in natural preservation. 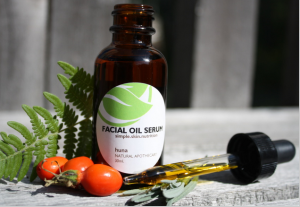 Formulate and make a range of gorgeous anhydrous, preservative-free oils and serums for the face, bath and body. Learn about these product types: what they are, the differences, typical ingredients and how to formulate them; and watch a practical video demonstration. Formulation templates and examples are provided including Dry Oil Body Spritz and Aromatherapy Massage Oil. Formulation templates and examples are provided including Citrus Blooming Bath Oil with Kukui Nut Oil and Aromatherapy Bath Soak. Learn about these product types: what they are, the differences, and typical ingredients and how to formulate them. Formulation templates and examples are provided including a Borage Facial Oil and Antioxidant Facial Serum with CoEnzyme Q10. Learn about these product types: what they are, the differences, typical ingredients and how to formulate them. Formulation templates and examples are provided including a Gentle Oil to Milk Cleanser. Formulate and make a range of gorgeous anhydrous, preservative-free balms and butters, including lip balms, treatment balms and cleansing balms. Learn about this product type, their characteristics, typical ingredients, how to create smooth butters and avoid graininess. 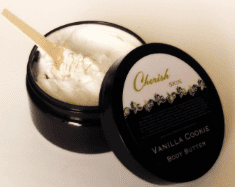 Learn how to make lighter-feeling body butters as well as rich nourishing body butters and design one perfect for your skin type and preferences. Watch us make one in a practical video demonstration. Formulation templates and examples are provided including a Skin Softening Lemon Whipped Body Butter with Kokum Butter. Learn about these product types: what they are, the differences, typical ingredients and how to formulate them. Learn how to create a range of balms – lip balms in both twist-up sticks and cute tins, cleansing balms and treatment balms. Balms have become a real trend in the natural skincare market: as they are made without water they are preservative-free and packed full of nourishing butters, oils and waxes. Watch us make one in a practical video demonstration and develop your own from scratch – we’ll take you step-by-step through the process! Formulation templates and examples are provided including a Mixed Berry Lip Balm and Wild Rose Beauty Balm. Formulate and make a range of indulgent soaks, scrubs and polishes just like you’d find in a high-end spa! Learn about this product type, their functions, characteristics, typical ingredients and how to formulate them. 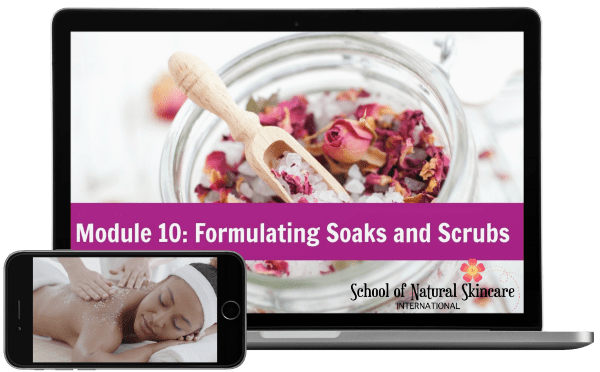 Formulation templates and examples are provided including a Relaxing Rose and Milk Bath Soak and an Invigorating Green Clay Body Scrub. Here we will focus on using an innovative sugar-based emulsifier to create facial and body polishes that emulsify on contact with water, rinsing off easily and leaving skin perfectly moisturized. Learn about this product type, their functions, characteristics, typical ingredients and how to formulate them. Formulation templates and examples are provided. Formulate and make a range of refreshing toners, spritzers and mists using delicate hydrosols and botanicals. Learn about these product types: what they are, the differences, typical ingredients and how to formulate them. We’ll look at toner types, functions and ingredients; the function and benefits of alcohol-free spritzers; and how to use solubilizers. Formulation templates and examples are provided including a beautiful Rose Flower Mist. 12.1 What is an emulsion? 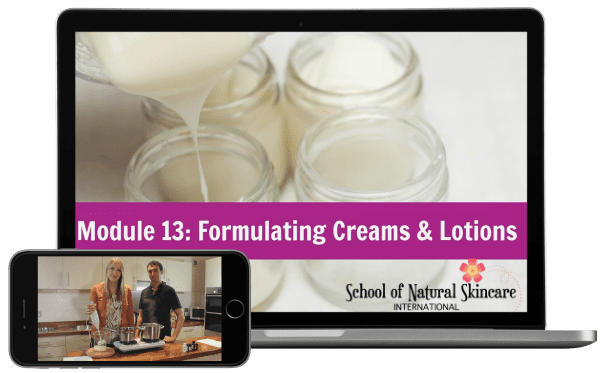 Creams and lotions are example of emulsions and in this lesson you’ll learn: what an emulsion is; the two main phases of an emulsion; simple emulsion types O/W and W/O; different uses of cosmetic emulsions; and 3 types of emulsification needed to form a successful emulsion. 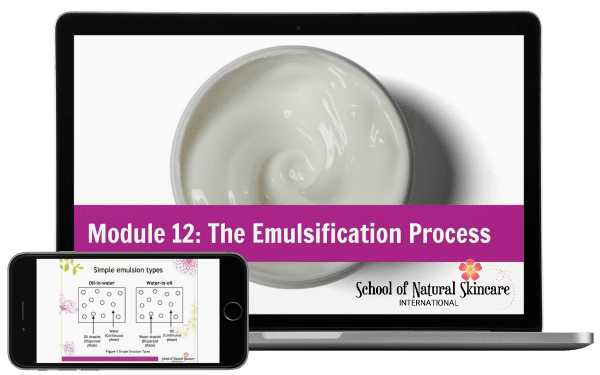 In this more advanced lesson we’ll take a closer look at the science of emulsification, what an emulsifier is and how they work. In this lesson you’ll learn: the 3 phases of an emulsion and how these are written in your formula; the 3 stages of making an emulsion (heating, mixing and cooling); 3 factors in the manufacturing process that can affect your emulsion characteristics; and the difference between hot process and cold process emulsification. This lesson will help you choose which emulsifier to use. Discover key questions to ask when choosing your emulsifier and use our emulsifier checklist to help you create stable emulsions. You’ll also learn about 8 natural and organic emulsifiers that you can use to create certified organic creams and lotions. It can be very frustrating when lotions separate and you don’t know what you did wrong and how to fix it! This lesson will ensure that you know the steps you can take to solve any stability issues you encounter. You’ll learn the 4 causes of emulsion instability (creaming, sedimentation, flocculation, coalescence) and how to solve them. 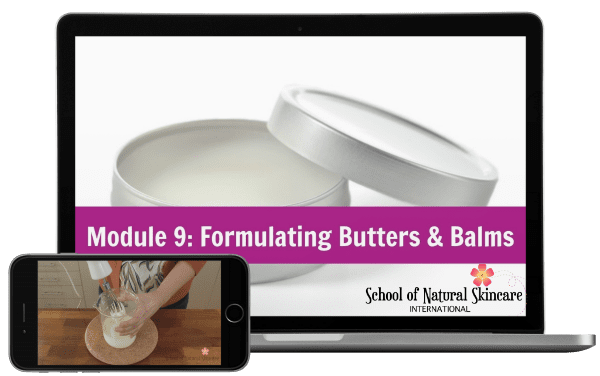 In this advanced lesson you’ll learn how to modify the rheology and viscosity of your creams and lotion using 4 categories of rheology modifiers: powder thickeners, emulsifying thickeners, natural wax thickeners and polymer thickeners. Formulate and make a wide range of creams and lotions for the face and body, from lighter body milks and lotions to richer creams and body butters. As creams are emulsions containing both an oil phase and water phase there are lots of amazing ingredients that can be used in them! Learn the basics of cream and lotion formulation including which ingredients to include in which phase. We’ll break down a formula into all its components and discuss the function of each main ingredient so you’ll feel confident putting your own formulation together. Learn about these product types including body butters, creams, lotions and milks. Discover what they are, the differences, typical ingredients and how to formulate them. Learn to perfect your oil in water emulsions and make a range of products from light body lotions and ‘milks’ that can be applied with a spray to thicker, creamer body butters with a high content of your butter of choice (such as mango, avocado, olive, shea or cocoa). Watch us make one in a video demonstration so you know how to make your own, step-by-step. Formulation templates and examples are provided including a Passionfruit Body Lotion, Sea Buckthorn Body Milk and Almond Body Butter. This is where things get really exciting! We’ll create beautiful facial moisturizers for all skin types, both light lotions and nourishing creams, with a range of rejuvenating and regenerating ingredients. 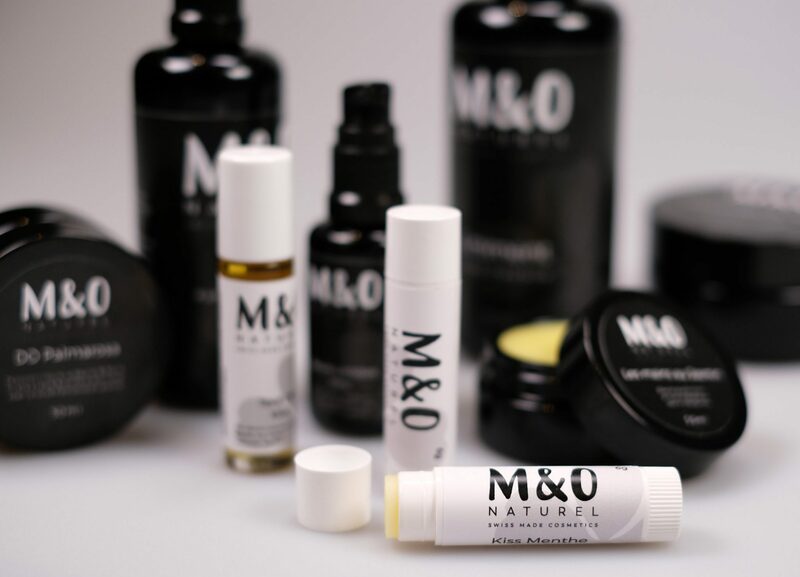 We can pull out all the stops and delve into high-performance ingredients and active botanicals to create products that are both natural and powerful! Learn about these product types including night creams, day creams and eye creams. Discover what they are, the differences, typical ingredients and how to formulate them. Watch a video demonstration so you know how to make your own, step-by-step. Cleansing lotions are a gentle and effective way to cleanse the skin. Learn about the typical ingredients used in cleansing lotions and how to formulate them. Formulation templates and examples are provided including a Soothing Cleansing Lotion for Sensitive Skin. Comply with cosmetic, labeling and claims regulations. This lesson we cover 7 important steps to take before you sell your products. If you wish to sell your products it is essential that you comply with the relevant cosmetic regulations. In this lesson we’ll provide lots of helpful information so you’ll know the regulations to comply with and what you need to do. We include the regulations in the USA, Canada, EU, UK, Australia, New Zealand, South Africa and India. Understand what you can and cannot say about your cosmetics and how to substantiate any claims you make. This helps you stay compliant with the regulations when labeling and marketing your products. I love the accessibility and the fact I could fit it into my time schedule. Since taking the course I can formulate with ease!  The modules are crafted in such a way that someone can really kickstart their business. The course gave me the confidence to experiment. Get instant access + When you join a payment plan the first payment is paid immediately and the second one is paid automatically one month later. Or join the Skincare and Haircare Diploma Bundle! Save US $247 when you enroll on both courses together. 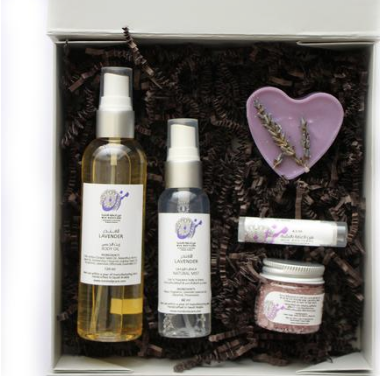 The bundle includes our Diploma in Natural Skincare Formulation and Diploma in Natural Haircare Formulation. Yes, I want to enroll on the bundle! Get instant access to both courses. Equivalent to approx. GBP £1,149 or AUD $2,015 (exchanges rates fluctuate so please check the current rate prior to enrolling). The course provided me with everything I needed to know! “Their community is vibrant and their experts are always on hand to help you to understand simple to complex concepts and procedures. I very much appreciate their mission and relatively unbiased approach to promoting healthy cosmetics and formulation techniques that are good for people, the environment and this for our future. Unlike other schools that promote a natural way or organic way for skin care, this school uses real data, real facts and tends to shy away from fear mongering. Probably the best part of this course and their teaching is the methods used to get you directly involved with making decisions about your business, your products, your exact customers (current or desired) and then servicing those customers with your message and products. Great courses. And the staff and owners are genuinely great people." “I found this course to be very informative and helpful. There are so many extra bits of information and helpful resources and links to websites. I feel that every aspect of natural formulating has been covered… and then some. 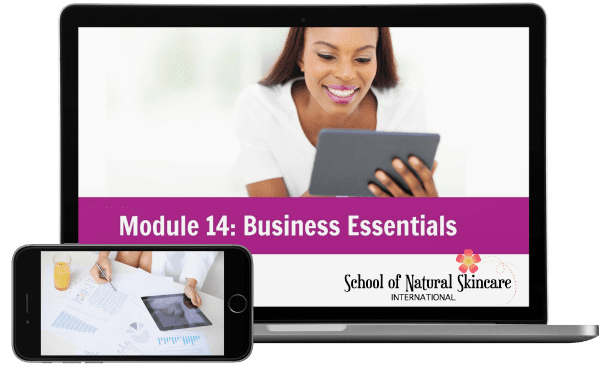 I highly recommend this course and I will continue to send new inspired formulators and small business owners to this course." Yes! The Diploma in Natural Skincare Formulation is accredited by the CPD (Continuing Professional Development) Certification Service.  The CPD Certification Service is the leading independent CPD accreditation institution operating across industry sectors. They are a globally recognized institution and accredit courses by prestigious organisations including the University of Westminster and the London School of Economics – and ours, too! The CPD Certification Service assesses each course individually, evaluating the quality of training materials and learning activities against the highest standards. We are delighted to have passed the formal and impartial CPD accreditation process carried out by the team of experienced assessors at the CPD Certification Service. See our Accreditations and Memberships page for more information on our professional memberships and accreditations. Yes! 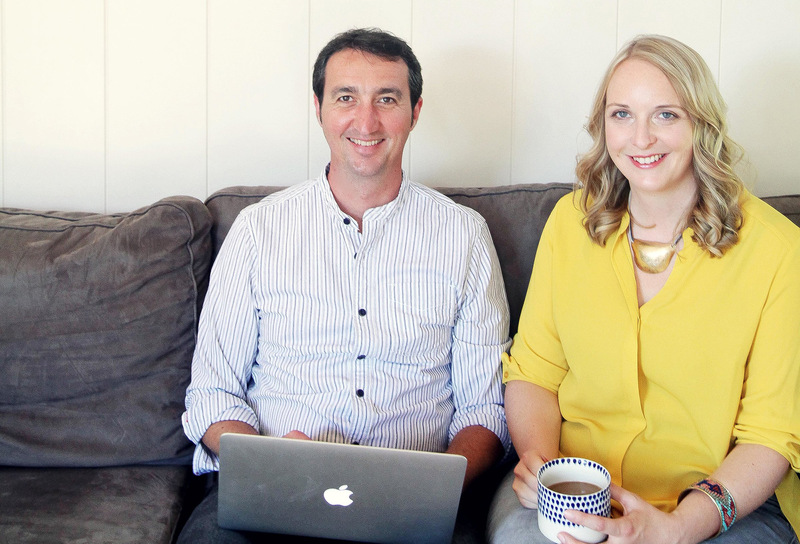 The course is a fully online training program that consists of online training videos, downloadable workbooks and worksheets and an online student mastermind group. It is designed to be taken from home from anywhere in the world and the products we make meet global quality and safety standards. We’ll provide information on ingredient suppliers in many different countries and will guide you to the relevant regulations wherever you are based, too. We have students in over 25 countries so you’ll be joining a thriving community of global students when you join! Why are your prices in US$? We are an international school with students worldwide. US dollars are the most widely recognized and accepted currency. You can check the exchange rate for your local currency using xe.com. Are there any assignments? Will I get a certificate at the end? Yes, when you have finished the course there will be several assignments to submit. These are straightforward to complete and based on the material covered in the class. On successful completion, your course certificate will be issued. You will have access to the online classroom for three years. Plenty of time to study all the materials and have your product line designed! You can also download many of the materials to save on your own computer and keep for longer than that and if you wish to renew your access for another year this is possible too, for a small fee. The course is a self-study, self-paced course so you can study at a time that suits you and complete the course as quickly or slowly as you wish. All the lessons are prerecorded so they are available for you at any time. Yes you can certainly take the Diploma class as a beginner. In fact it will ensure that you learn the correct way to design and create products right from the start so it is a great way to begin your journey with making products! What’s the difference between the Certificate in Making Natural Skincare Products and the Diploma? The key difference is that the Certificate in Making Natural Skincare Products teaches you how to make products using lovely natural ingredients following our recipes and the Diploma course teaches you how to design your own recipes and unique products. The Certificate in Making Natural Skincare Products is almost like an introduction, ie here’s what you can do with natural ingredients and here’s how. We provide 120+ recipes for you to follow. The Diploma takes it *much* further. 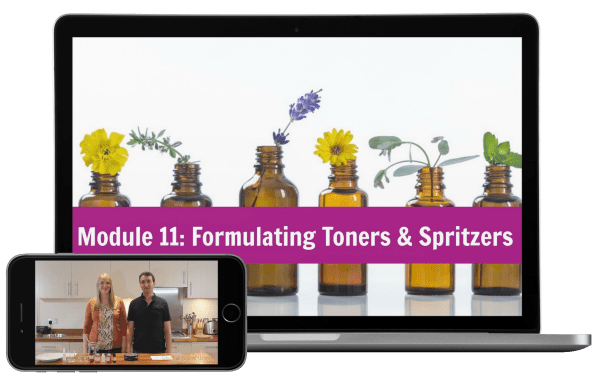 It teaches you how to get from a blank sheet of paper or an idea to a product and to create your own unique line of natural and/or organic skincare products. It is designed specifically for those of you who wish to design a range of professional products using your own recipes plus gain a solid foundation in the business skills you need – creating a brand, meeting the needs of your ideal customers, the legalities of selling, and more. You’ll learn about a much wider range of ingredients and in greater detail: more carrier oils, butters, waxes and essential oils and an introduction to cosmeceuticals and active botanicals (high-performance skincare ingredients). Instead of following our recipes/formulations, you’ll discover the art of creating your own professional formulations designed to suit your skin type or that of your customers. The end result is a range of beautiful, unique high-performance products designed specifically for your customers or yourself. The course is primarily designed as a self-study course. It takes a very thorough step-by-step approach and each module builds on the next. Therefore as you progress through the course you’ll gain the skills and knowledge needed to become an expert formulator. When you sign up to the course you also get to join our private online student community (hosted via Facebook) to meet and discuss with other students, who have lots of knowledge, expertise and ideas to share. Inside our private online student community we have two tutor Q&A sessions each week where you can post your questions and a tutor will answer. What do I do if I can't buy ingredients/raw materials locally? 1) In many cases you can use a substitute ingredient. It’s very easy to substitute ingredients such as carrier oils, essential oils, butters and waxes. We have written an article that gives you some tips on substituting ingredients which you can read here: How to substitute ingredients. 2) You can order from overseas. In the case of specialist ingredients like emulsifiers and preservatives you may have to order from overseas. Many suppliers based in the USA, UK and Australia will ship overseas. You’ll find a comprehensive supplier list included with the course.